Discover a full range of web hosting servers. Hybird Dedicated servers are the perfect solution to accommodate your projects when shared hosting is no longer enough. The complete freedom of managing your dedicated server lets you shape it to your own needs. Our All servers have fully control from client portal®. infrastructures protected against DDoS attacks! All of our dedicated servers come with the powerful GNOME anti-DDoS protection. It absorbs distributed denial-of-service attacks, and ensures that your services are always available. Anti-DDoS protection is included with all of our servers. Keep your dedicated infrastructures protected against DDoS attacks. 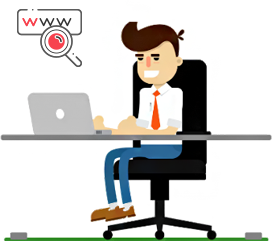 It provides your services with round-the-clock protection against all types of DDoS attack, without any limitations in terms of volume or duration..
01 Will my services be setup immediately? 02 Can i Buy More Resource if needed ? 03 Whats the Uptime and Port Speed ? 04 Does this product include Managed support?